In terms of UK birding I don’t do much twitchery these days, I prefer seeing no birds in Wanstead as this is a lot easier. I am generally reliant on the glories of yesteryear for any listing advancement, such as the Rainham Slaty-backed Gull, and then more recently a Chinese Pond Heron in Kent that everybody belittled as a joke bird but went to see anyway, just in case. This just-in-case twitching is actually a thing, and in birding lexicon is known as an insurance tick. You go and see a bird which isn’t officially on the UK list owned by the Bird Police, but that might become official at a later date once the scientists and the great and the good have had their say. It is a gamble that does not always pay off, but in many cases it does. Tiny Canada Goose went on for example, I bird I had squirreled away for ages in the hope that one day it might get split from Normal-sized Canada Goose. Last week saw some more upcoming changes to the UK list. I skimmed over it briefly and took from it that I was going to get a Goose tick – with Taiga Bean Goose and Tundra Bean Goose being split. A number of insurance ticks I had not bothered with seem to be going on too such as Thayers Gull (you can understand why I didn’t go…). Still, one to ink in so can’t complain really. Hang on a minute though, what’s this down the bottom? Whimbrel and Hudsonian Whimbrel are being added back together? That's no good! This is the very opposite of a split, a lump. Where previously two species were considered to exist, now only one is. Rather than needing ink I now need tippex….. and my tactic of sitting around in my armchair extending my UK list has backfired on me. My list is going in the wrong direction! But hang on I can hear you exclaim! Surely you break even? Plus a Goose, minus a Whimbrel, a zero sum gain. Yes, but I have not yet got to Redpolls….. You see Redpolls are also being lumped, and therefore I am definitely going backwards. Personally I believe there are about ten thousand species of Redpoll, but up until now the scientists have recognized just three. These were Small Brownish Redpoll, Medium Paler Redpoll, and Polar Bear. I had been hoping for a further split to also include Bigger-than-Medium-Paler-but-Darker Redpoll, as well splitting Polar Bear into Lesser and Greater, but in fact they have taken the opposite approach. Going forward there will be just two, Small-to-Medium-Doesn’t-Matter-about-the-Colour Redpoll, and Large-to-Enormous White Redpoll. Anyone who has seen the various flavours of Redpoll in this country will know what I am talking about, but let me clear this up. 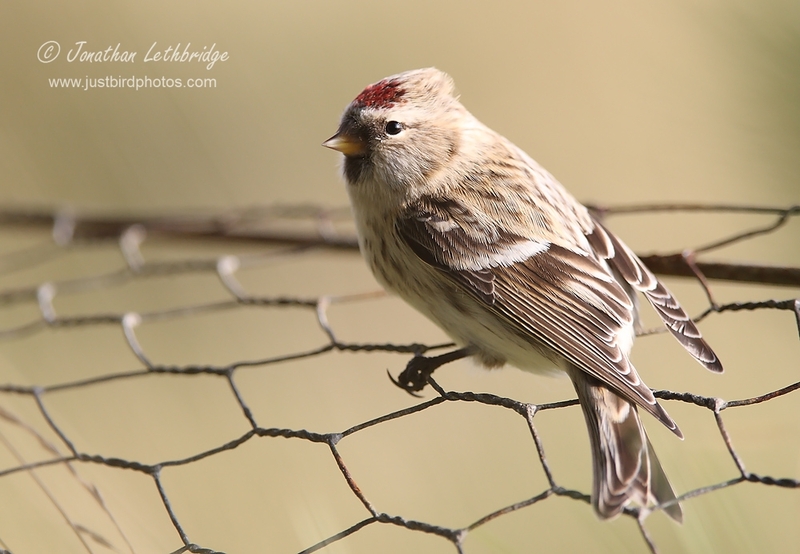 The commonest Redpoll in the UK is Lesser Redpoll. These are small and buffy/browny (cabaret). Occasionally you find a frosty looking one in with them that is a bit bigger and a lot whiter and you are allowed to call these Common Redpoll although some people call them Mealy Redpoll (flammea). Then you get some pretty large ones thought to hail from Greenland that are almost as brown as Lesser Redpoll but a lot darker (rostrata), and you can call these Common Redpoll too. Then you get big white ones that are not quite white enough and that are thought to come from Iceland (icelandica) – I have no idea what you can call these but let’s stick with Common Redpoll. Then you get really really white ones with fluffy tarsi and these are called Coue’s Arctic Redpoll (exilipes), although some people call them Hoary Redpoll, and finally you get massive white ones that are absolutely enormous and that hunt seals, and these are called Hornemann’s Arctic Redpoll (hornemanni), or also Hoary. Both these latter get called Arctic Redpoll. Confused? Look, it's easy. Essentially you start small and buffy/browny and gradually you get larger and whiter, with the exception of rostrata where you replace whiter with darker. And then there is everything in between, and this is why the whole thing is a mess because nobody can agree where one starts and the next begins. 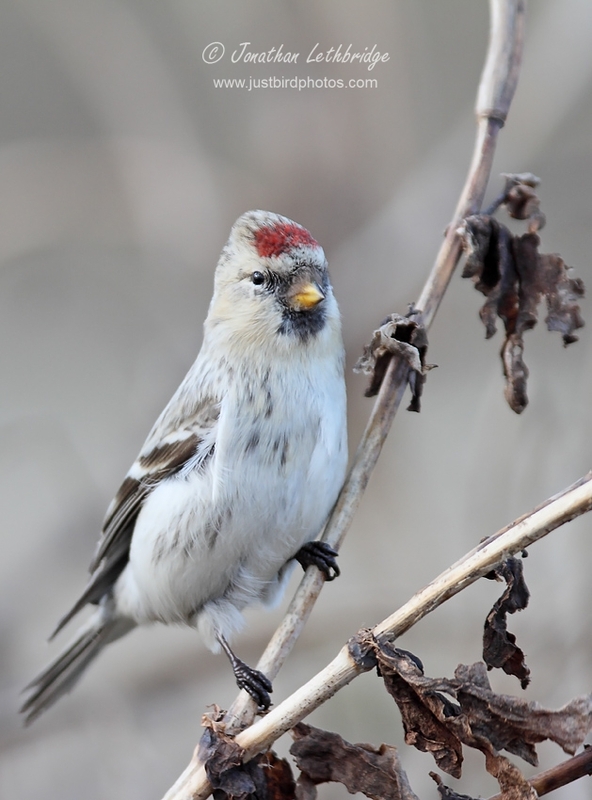 The two Arctic Redpolls have never been split despite their dietary requirements, but up until now a distinction was drawn between Lesser and Common/Mealy. No longer. Where we are landing now is Mostly Brown = Common Redpoll, and Really White = Arctic Redpoll. End of. Oh, apart from race icelandica which goes into the Brown camp despite being White. AaaaaarghhhhhhHH! Back in my formative birding youth, I heard over the grapevine about a large flock of Mealy Redpolls visiting Thorndon Country Park in Essex. 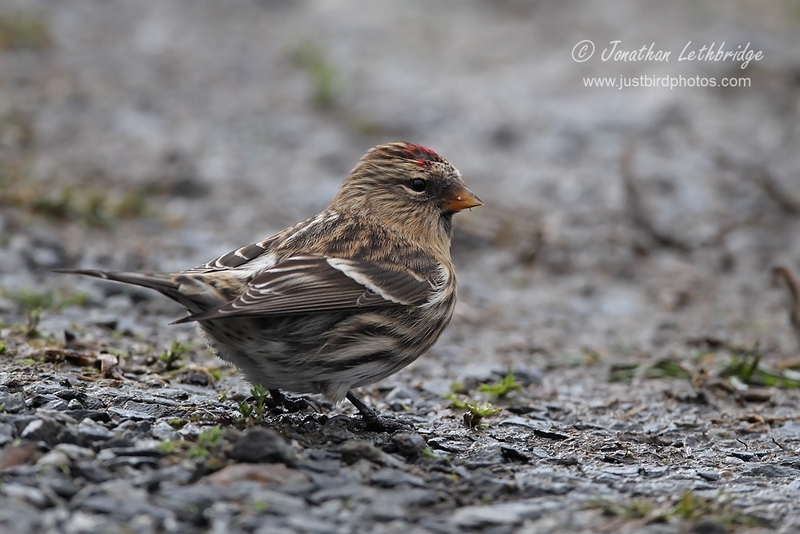 I still “needed” Mealy Redpoll at the time, and with a large flock present how could I go wrong? How naïve. So I pootled over there, found masses of Redpolls that all looked the same, and duly called the pager people with news of a large flock of Common Redpolls near the main car park. And naturally I was then rubbished far and wide. Hard as this was to bear at the time, I like to think of myself as prescient. The Redpoll argument has been running for hundreds of years, but science is now providing the answer. Or an answer. Based on DNA analysis of 77 different variations on the Redpoll theme, apparently ALL are near-as-dammit identical. Common and Arctic are 100% the same, and Common and Lesser are as close to 100% as makes no difference. So why do they all look different? This is the mystery of creation I suppose. In a way I consider myself lucky to get to keep two species, as there seems adequate justification to reduce the whole lot to one, which would leave us simply with REDPOLL. A most enjoyable blog post! Very droll! I'll just say that I have seen Redpolls. What does the Judge, Jury and Executioner LGRE than life have to say about all this? Is he reducing the UK5000 list based up these latest developments? This is the BOU adopting the IOC. I don't follow Lee but I'd imagine the word lump doesn't get much airtime!